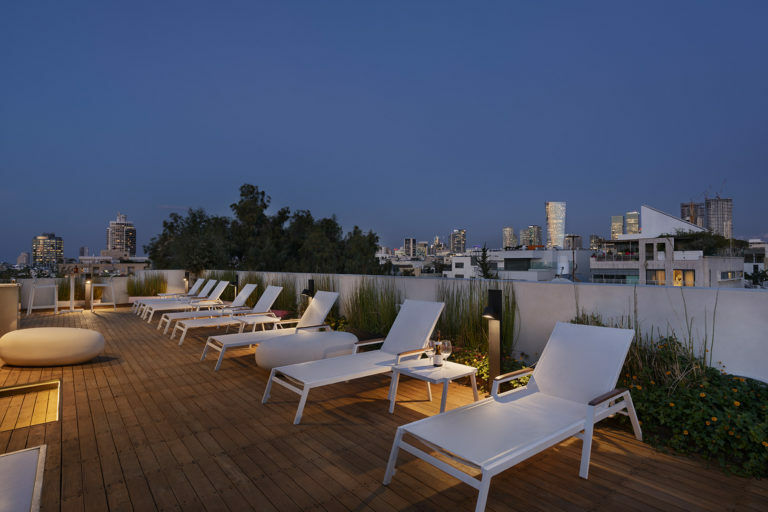 Most hotels are understandably preoccupied with beautifying the inside of their buildings. 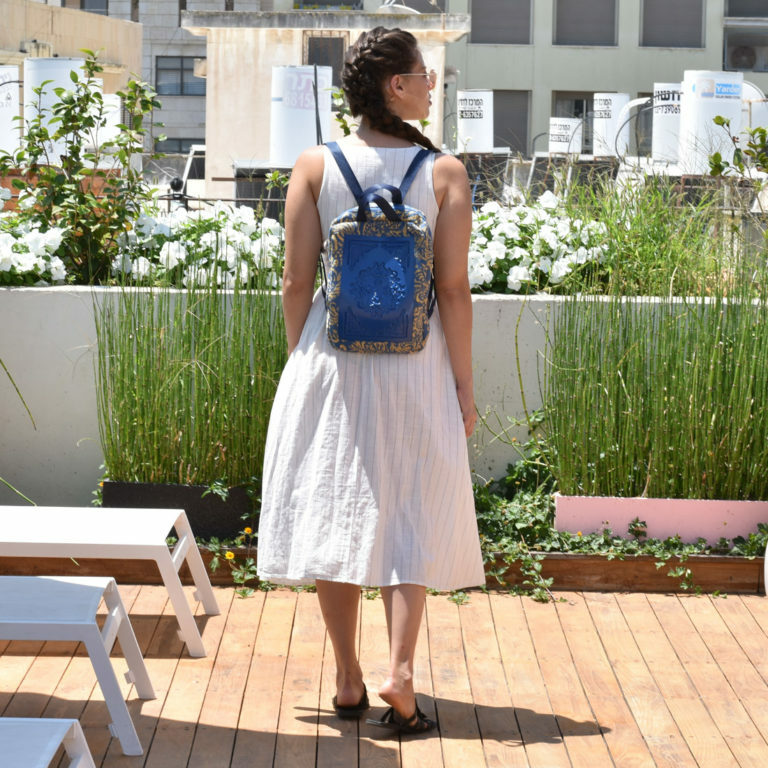 We won’t deny that we are as well. If you require proof, take a look at any of our rooms, lobby, business center or spa. But we pretty quickly realized we had more to offer than just our pampering relaxation areas, and superior amenities, facilities and services. 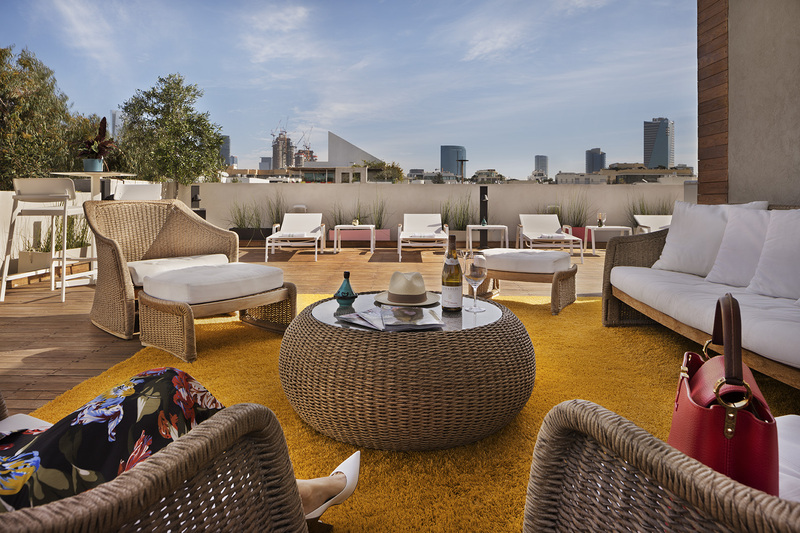 We also have a rooftop. 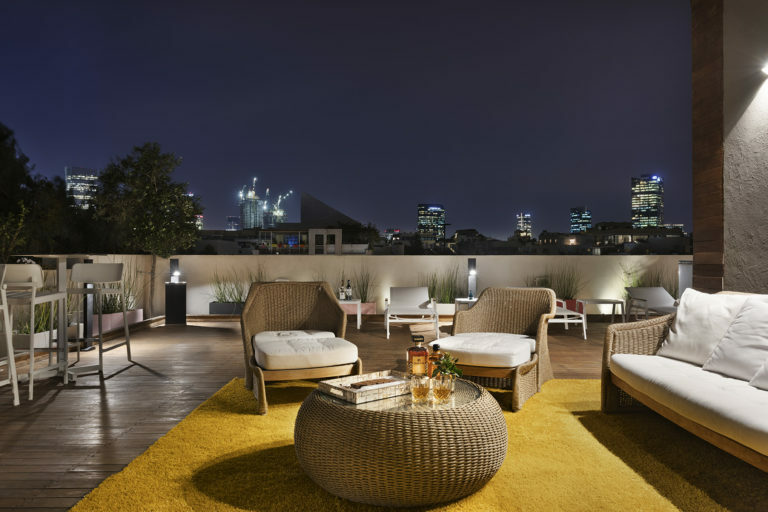 A rooftop that we’ve transformed into a roof terrace, that is. 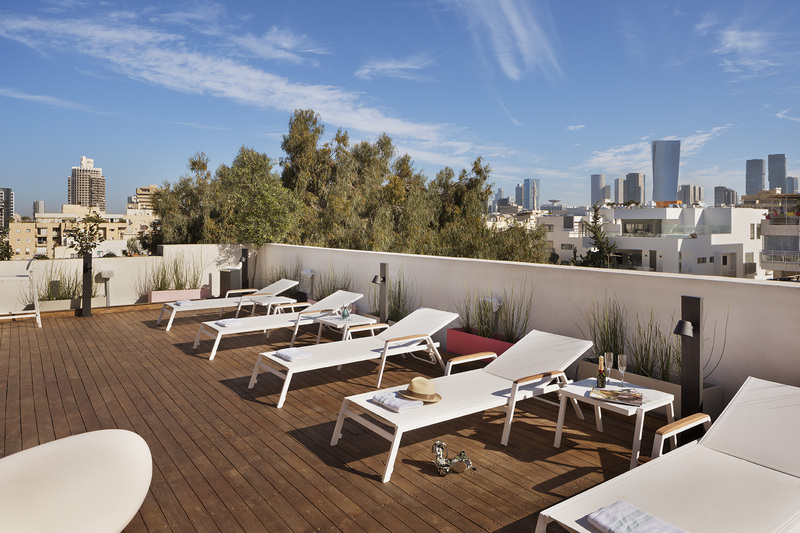 With Tel Aviv’s nearly year-round sunshine, this roof terrace provides the perfect space to start your day in the sun on one of our comfy sun beds, soak up the midday rays, curl up under an umbrella with a good book, or enjoy a drink to cap off another perfect day. 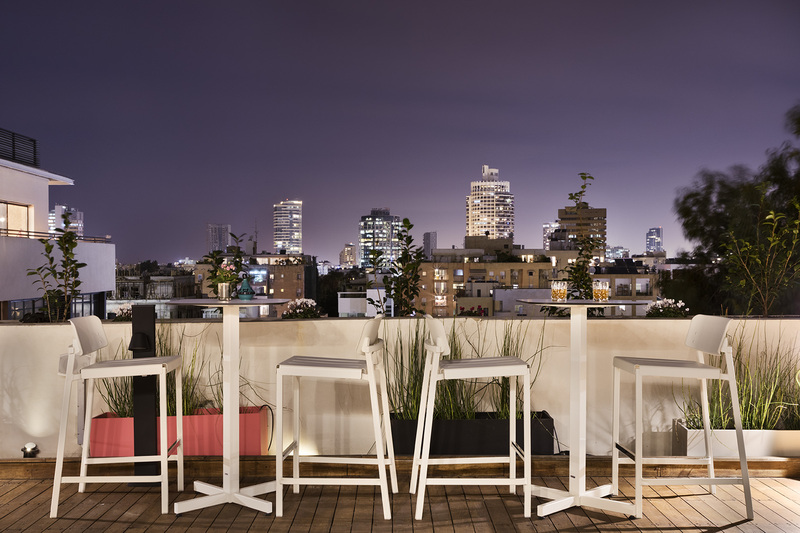 With our central location, the rooftop terrace also provides a perfect panoramic view of Tel Aviv, the city that never sleeps. 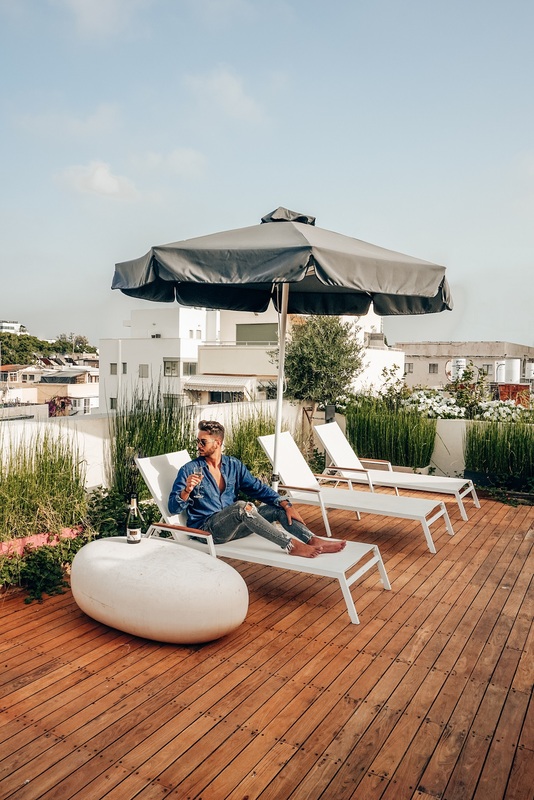 So we, the team at Shenkin Hotel, are certainly proud of our rooms and the amenities, facilities and services, don’t mind us if we seem excited to get you up to the roof.